According to the National Alliance on Mental Illness, approximately 18.5% of adults in the United States experience mental illness every year. That's a significant portion of our population—one in five people—yet the stigma and misunderstanding that surround mental health remain rampant. That's why in honor of Mental Health Awareness Month, we put the call out to our readers to share their own experiences with mental illness: their victories, their struggles, and what it's really like to negotiate a society that makes misguided assumptions about who you are based on an arbitrary definition of the word "normal." Our series My Life With highlights the raw, unfiltered stories of women who deal with anxiety, bipolar disorder, postpartum depression, and more, all in their own words. 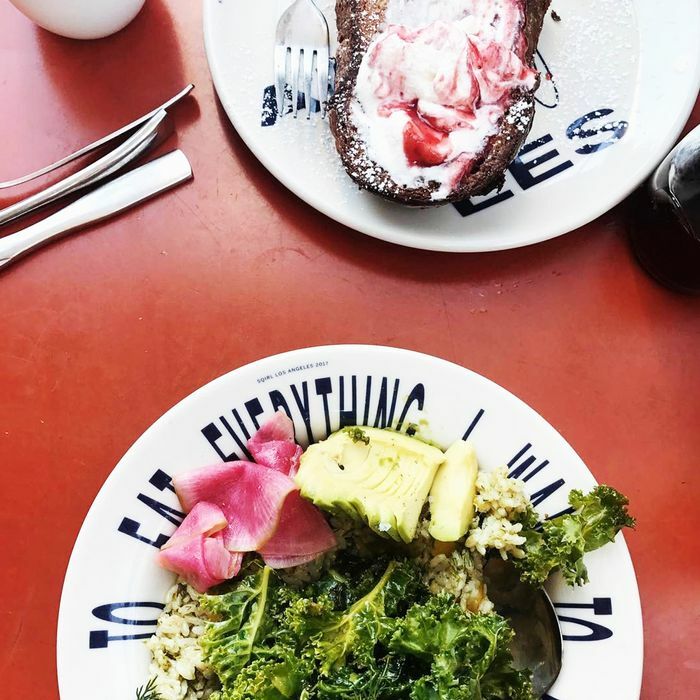 Below, Heather Ertel of The Glow Wellness takes a closer look at the flip side of Instagram's "healthy living" community—and how her feed led to disordered thoughts around eating. It's unfortunate, to say the least, that Instagrammers are marketing their photos to people as healthy and “normal” eating behavior. In reality, it’s irresponsible. There are thousands of very popular (we are talking 100K+ followers) influencers who have made a very good living filling their grid with these Instagrammable treats. They claim to be health and wellness experts. And they create these goodies asserting they are healthy only because they are made gluten-free, dairy-free, sugar-free. But there's another dirty little secret: The majority of these high-follower bloggers are getting kickbacks from the companies they are promoting. They link to these hot wellness products in their Insta Stories and posts and on their blogs, earning commission for clicks and sales. It took me a long time to figure this part out. And when I did, I quickly wised up about what was being presented to me. As a strong personality with a decent amount of food knowledge, knowing this immediately made me want to take my power back. If I was going to make something delicious, it would be because I truly wanted it, not because someone on Instagram made me feel like I needed to have it. If you think you may be struggling with disordered eating, find support from the National Eating Disorder Association Helpline at 1-800-931-2237.